success throughout the years and this year should be no different. 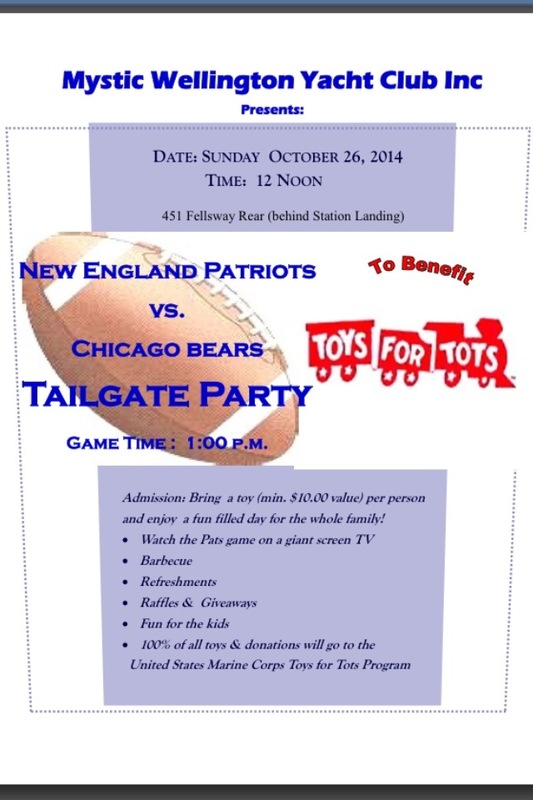 The Tailgate Party will be held on Sunday, October 26, 2014 beginning at Noon. It will include all pre-game tailgate party activities followed by The New England Patriots vs the Chicago Bears on our Giant Screen TV. There will be raffles and other fun activities throughout the day with all proceeds going to the United States Marine Corps’ Toys for Tots program. The admission to this event? Bring a toy (minimum $10. value)! Hope to see you there!